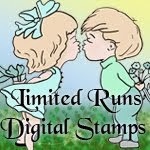 This is my first project for TTCRD and this week the fabulous sponsor is Limited Runs Stamps. The prize for a lucky winner is three digis of winner's choice! This is my project I made for a friend of mine who loves everything Halloween. 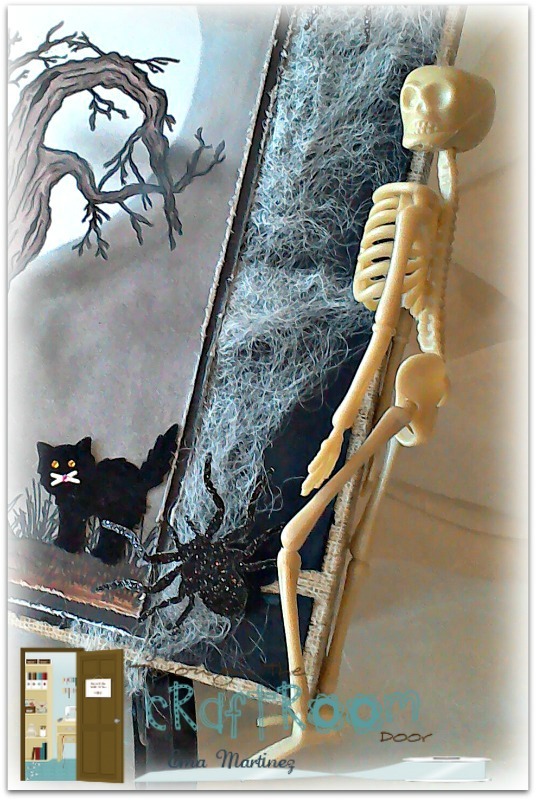 I like Halloween but my friend, Ana, said, "Get out of the way cause here I come!" lol She starts decorating her home for Halloween about mid September and always has some of the funnest Halloween parties! She's a devout Catholic and a Christian and I always am bothered by the fact that she gets judged so harshly for celebrating Halloween by folks deeming themselves as Christians. But, truly, if they were Christians, they'd have no business judging her. That's how I see it. I love her. She's a good person, very loving and generous to those less fortunate than herself and always willing to jump in and get her hands dirty when folks are needing help. 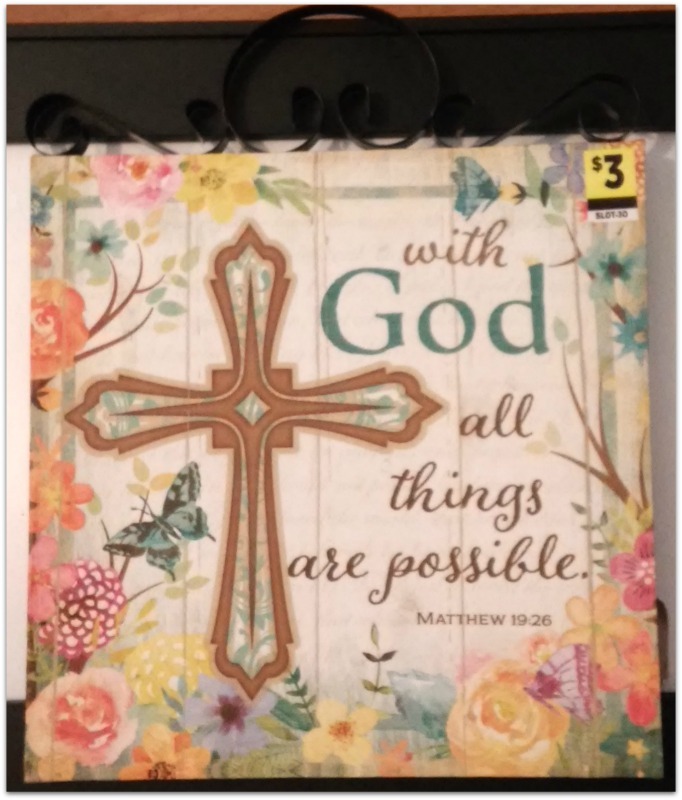 So when I saw this image, I immediately thought of making her something for her home decor. I hope she loves it as much as I loved making it for her! 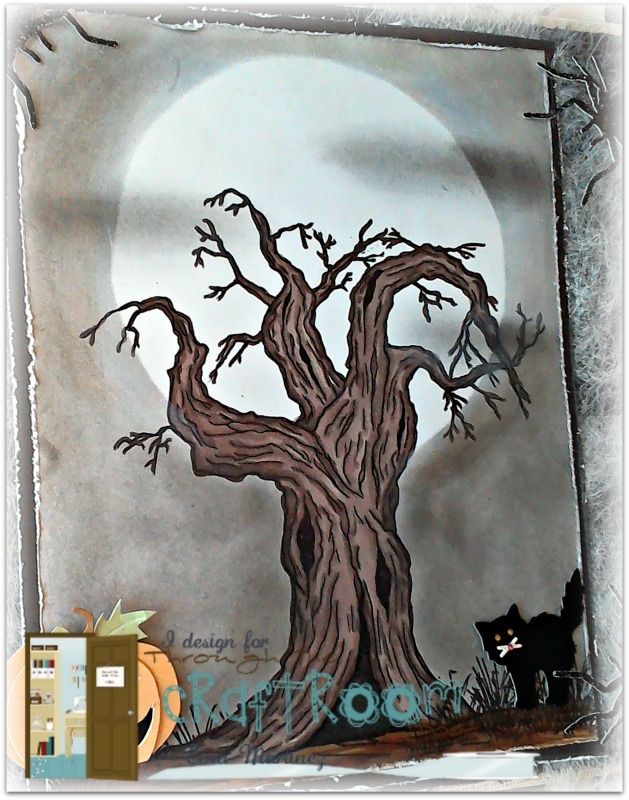 This is Scary Tree 1 from Limited Runs Stamps. 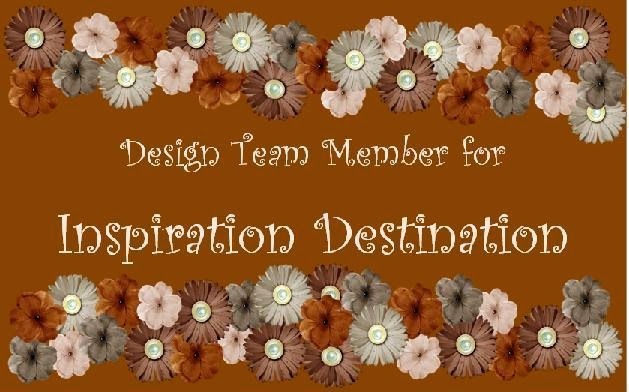 Congratulations on your new design team appointment ! 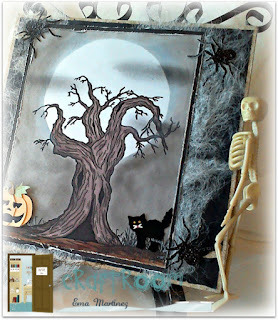 Awesome project for your friend and terrific find on the clearance canvases to alter. Love the image and well done for supporting your friend -like you said none of anyone else's business. I am sure it will be hung pride of place. Thank you for sharing with us over at Rhedd's Creative Spirit this month and hope to see you again in future challenges. This is so fab and how thoughtful for you to give your friend.. This is fabulous! I love your dryer sheet web! I am sure your friend will love her gift, it's gorgeous. 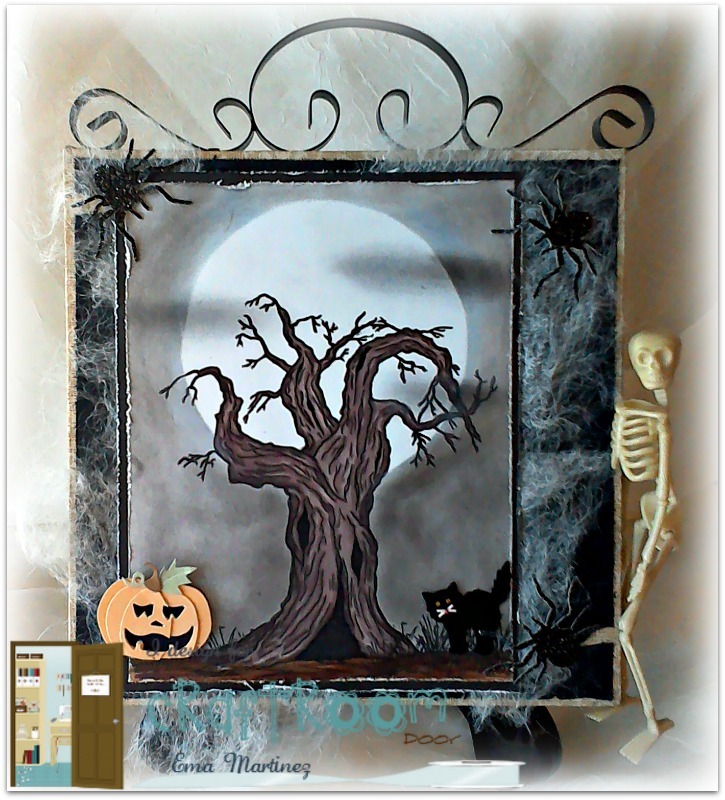 I love all the details added to this canvas. When you get to decorate the other canvases come and join us again at Altered Eclectics, we'd love to see them and thanks for showing us this one.